Employment Lawyer Explains Employee vs. Independent Contractor | Kennedy Hodges L.L.P. 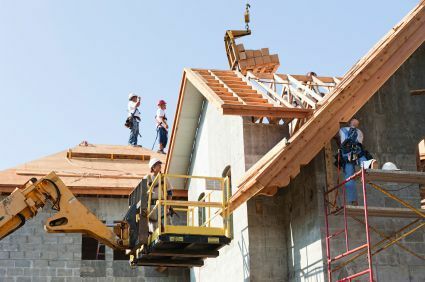 Are construction workers employees or independent contractors? Let's be clear: the mere fact that your employer tells you that you are an independent contractor has nothing to do with whether you are, in fact, an independent contractor. This is true even if you actually agree orally or in writing that you are an independent contractor. The label your employer puts on your job does not affect the proper classification of your job as an employee or independent contractor. If that were the case, then all construction companies would simply have their employees sign a document stating their employees are independent contractors in order to save money. Unfortunately, that is exactly what happens in many cases. As a Texas employment lawyer, I have successfully represented hundreds of clients in that exact situation. Employers reap huge benefits from this underhanded tactic. First, they cheat their employees out of overtime pay by paying them a set daily or weekly rate or a single project fee regardless of the number of hours worked. Second, the employer also avoids paying its share of social security and other federal and state taxes. So, when is a construction worker (carpenter, electrician, plumber, framer, mason, welder, painter, dry wall installer, landscaper, foundation worker, etc.) really an employee instead of an independent contractor? The courts considering this issue on a regular basis use a test called the "economic reality test" to determine if a worker is an employee or an independent contractor. No single factor controls the answer. The courts look to the totality of the circumstances. The most important determination is whether, in reality, the worker is in business for himself or if he's dependent upon the business of the employer to whom he provides his services. The five factors above guide the trial court in making this determination. If you are a construction worker and you work more than 40 hours in a workweek for the same company week after week, chances are that you are an "employee" and not an independent contractor. That means you are due overtime for all hours worked over 40 in a workweek. I will be happy to discuss your particular situation with you to determine the potential value of your claim. I can also tell you how you can recover double your back pay and have your employer pay your attorney's fees under the labor laws. We do not charge any fees unless we make a recovery for you. You can reach us by calling (888) 449-2068 or by filling out our confidential contact form. Be sure to order a FREE copy of the book, 10 Biggest Mistakes That Can Hurt Your Wage & Overtime Claim, written by employment lawyers.